2018 is here! And we expect it to be a significant year for AI advancement. In particular, we have eight predictions that we believe will come to fruition in this upcoming year. 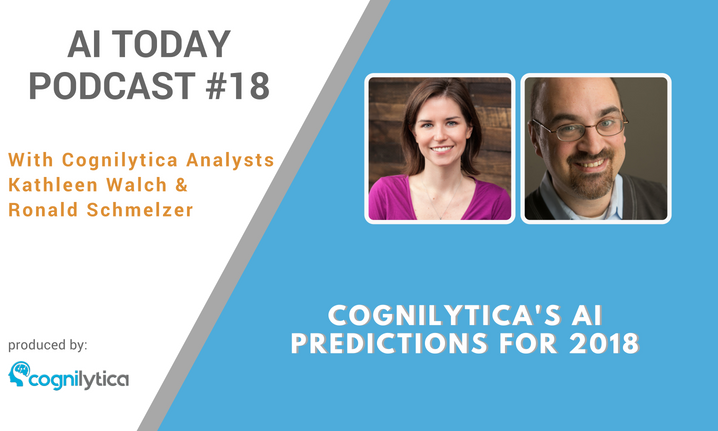 Listen to this podcast and check out the accompanying article to hear about what we believe 2018 has in store for AI and the industry as a whole.